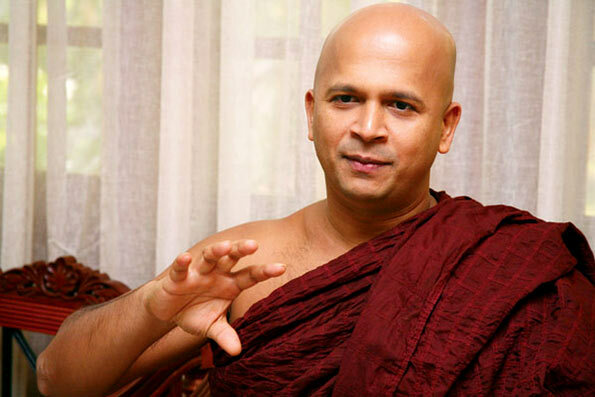 The statement purported to have been made by the Ven.Uduwe Dammaloka Thera, on the demise of the former convener of the People’s Movement for a Just Society, the Ven Maduluwawe Sobitha Thera (the former Viharadhipathi of Kotte Sri Naga Viharaya) is now being investigated. He had recently alleged that Sobitha Thera had been murdered. President Maithripala Sirisena and Prime Minister Ranil Wickremesinghe had taken note of his statement, thus causing the relevant minister to direct the IGP to investigate it. A statement is to be recorded from the Ven. Thera within the next two days. When ever an out spoken Buddhist monk die there are accusations of murder. We all know that there will be no smoke without a fire. It is good that HE Sirisena and Hon PM requested police for an investigation. My question is how credible is our police? My suggestion is an independent civil society group should also carry out parallel investigations. I am rather shocked at the Yhpalana response to this incident. Isn’t the Police Force under an independent commission? Can a Yahapalana Minister give direction to the independent Police force? I suppose the maximum the Hon Minister can do is to raise a ticket with the Independent Police Commission to keep him informed of developments in this incident which is considered to be of National importance. I guess this so-called Yahapalana is just another farce imposed on the population by sena-singhe clowns. Statement made to whom. Was this statement made by the Ven Dhammaloka Thera. This particular news line sounds fictitious for one thing the Ven Dhammaloka thera had been accused of harboring an elephant illegally and was remanded and then released from remand under mysterious circumstances. The statement has been revised to an allegations and remains an allegation until whoever comes up with tangible evidence to support this allegation. It is ironic that the minister of law and order directs the IGP to conduct and investigation has this allegation come about after the intervention of the IGP. And now the Sirisena/Ranil has taken note of this statement and wanting Ven Dhammaloka to make a statement for which there is little reason unless he is accused of something and if he is then who is making this allegation…..The legal system in this case appears very corrupt with a lot of ramifications and it is most likely that the Ranil himself is involved in his conspiracy. Rmember recently Ranil was reported to have claimed that most of the Buddhist monks are corrupt.